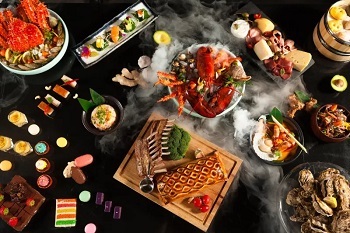 It is marvelous to enjoy a fabulous international-class buffet dinner in a starlit restaurant this autumn. Buffet is always popular by the local food lovers no matter, especially for family and friends gathering. A fine buffet reflects a quality and satisfying vision and taste in a stylish atmosphere. 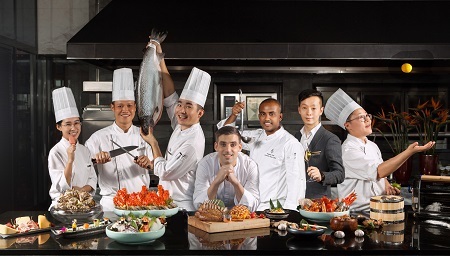 Cielo Western Restaurant of Four Seasons Hotel Tianjin launches the new buffet dinner for guests to an extraordinary gourmet feast. 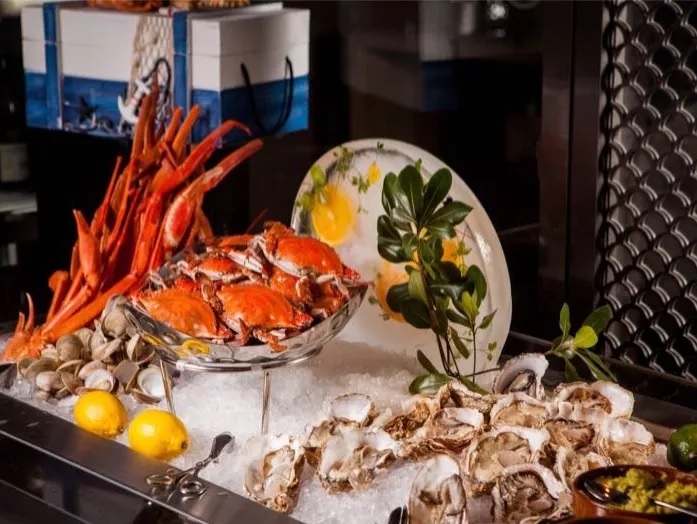 The Hotel Executive Chef Cyril Calmet, who is from France with seasoned international culinary experiences, is thrilled to design and debut this brand new buffet dinner. Guest can enjoy a varied array of quality buffet favourites in an elegant ambiance of the best environment in town, featuring selected seasonal seafood room, “Pastry Queen” Chef Christy’s creative dessert room, selected grilled meats, authentic South East Asian flavor, organic Mediterranean flavor, selected Chinese flavor and on-site wine & drink station with wide choices. Valid from 28 September 2018. CNY 498+15% per person. The Hotel’s official wechat followers can enjoy 25% discount from Sunday to Thursday while 20% on Friday and Saturday, that applicable until 31 October 2018. Find out more details, can contact Cielo at: +86 (022) 2716 6263 / 6688.